• The 1,250 bags of heroin “missing” from police headquarters. • The drug “busts” where no one is busted (“the officer kept the cash and let the driver keep the drugs”). • The officers who gun their engines at African-American pedestrians and “break out in laughter” and racial slurs when the victim jumps. But the incidents described in James I. Cabezas’ book, “Eyes of Justice,” took place in Baltimore over 40 years ago – long before the 2017 Gun Trace Task Force prosecution or the 2016 U.S. Justice Department report. But reality quickly shattered his vision of common cause and camaraderie between officers and the communities they were sworn to protect. “After two and a half years, I knew I had to get out of there,” Cabezas told The Brew. Cabezas did meet honest police, some of whom became lifelong friends. And he found a way to stay in law enforcement. 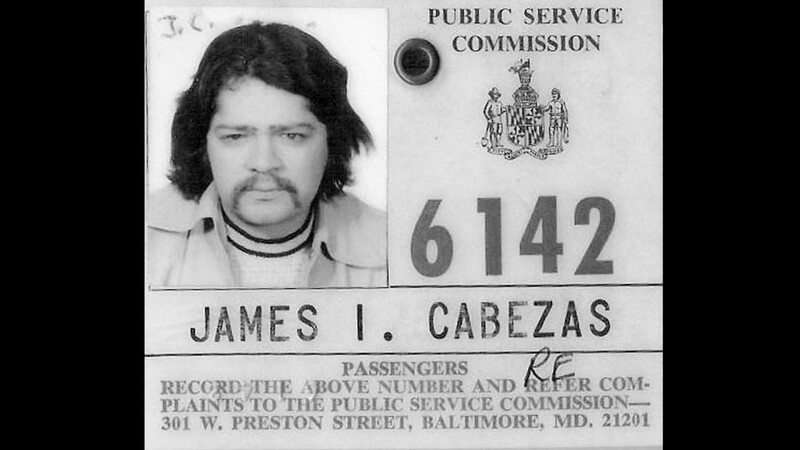 As the legendary chief white-collar crime investigator for Maryland, Cabezas helped convict state lawmakers, city councilmen and, famously, a Baltimore mayor. There are multiple themes running through the book, which Cabezas co-wrote with journalist Joan Jacobson upon his retirement in 2017 after 38 years as an investigator at the Office of the Maryland State Prosecutor. 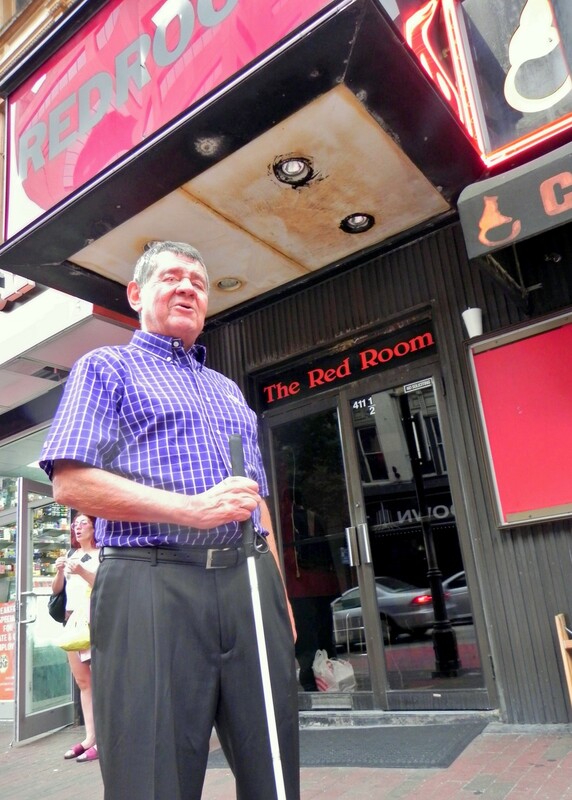 In part, it’s the story of a man overcoming tremendous personal challenges, chief among them the rare progressive eye disorder that left Cabezas legally blind in 1997 and totally blind in 2007. Thanks to special adaptive technology he acquired (long before Siri and Alexa came into his life), Cabezas was able to continue reading, writing and working. Still, living in increasing darkness cost him dearly. The day came when he could no longer see the faces of his wife and children. And, though he adapted at work, some things he enjoyed about his job were eventually out of the question, like raiding a suspect’s office or going on “trash rips,” his name for dumpster-diving for incriminating documents. Charged with uncovering mob influence in Baltimore’s red light district, he ultimately concluded that La Cosa Nostra left the local lords of Mobtown alone to their own devices. Those years among the johns and strippers led to valuable insights and useful sources, but took a personal toll. At home after a night on the job, he’d cue up Mozart’s Requiem or Gregorian chants to decompress. Primarily, though the book is a primer on recent political corruption in Maryland, with a rogue’s gallery of fallen officials and dishy details from an insider. There’s that first phone call from a tipster describing how county police were being used by Anne Arundel County Executive John Leopold to, among other things, stand guard during sexual encounters he conducted inside his county car parked in busy parking lots. Another vivid scene has Cabezas and a colleague entering City Hall at 9 p.m. over the Christmas holiday in 1993 with a warrant to search the office of then-Comptroller Jacqueline F. McLean. “Teach my hands to walk against my adversaries,” McLean had written dozens of times on a pad of paper they found in her mostly empty office. “I found it very disturbing,” Cabezas remarks. And, of course, there are several chapters on Sheila Dixon, offering glimpses of the shock and awe Cabezas and his boss, then-State Prosecutor Robert A. Rohrbaugh, felt as their two-year investigation of a sitting mayor took shape. There’s a description of their June 2008 raid on Dixon’s house, which investigators entered with a list of items she allegedly bought with gift cards for the poor that she had solicited from developers. There, with relief, they found the burnt umber mink jacket, the Persian lamb and mink coat, the Xbox, the Jimmy Choo sandals and more. A jury eventually found Dixon guilty of stealing $500 in gift cards, and Dixon accepted a plea deal. But Dixon remained defiant until the end, as suggested by this note she handed Rohrbaugh during jury deliberations demanding the return of her furs. As splashy as the book’s descriptions of disgraced politicians may be, the details of police corruption are more striking, especially as they echo recent revelations about the BPD. From the very beginning, Cabezas got an education in how things are done at BPD – such as warnings on how not to be “a rat” – that shocked him. “Always around Christmas and Easter, after shopping hours, they send you to get gas,” an Eastern District colleague explained. With a potential snitch out of the way, the officers would light a firecracker outside the door of the Sears Department store at the corner of North Avenue and Harford Road to set off the alarm. Three officers would then arrive: one keeping an eye on the private security guard while the others went on a spree. While on duty, Cabezas was taken by fellow officers into a bar where he was offered a drink – something totally against the rules – as a kind of loyalty test.